B&W image. 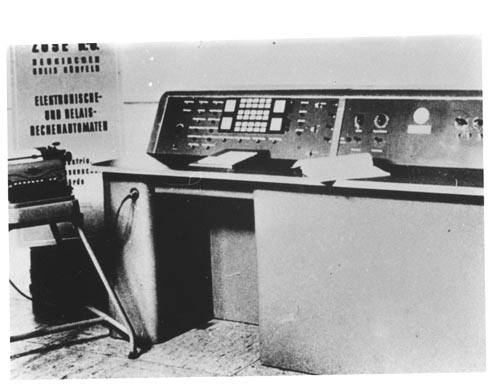 Control console for an early Zuse computer. To the left is a typewriter. The console has two sections one with pushbuttons and switches The second sectin to the right has dials and control wwitches. A manual on on the consolde table. On the left rear wall is a large poster with German writing.